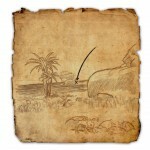 Hew’s Bane Treasure Map I – 41.38 x 84.44 – On an island southeast of Shark’s Teeth Grotto. 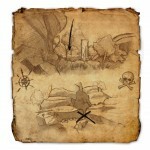 Hew’s Bane Treasure Map II – 38.38 x 57.71 – Southwest of Zeht’s Displeasure Wayshrine. Thanks to Jen for providing coordinates! 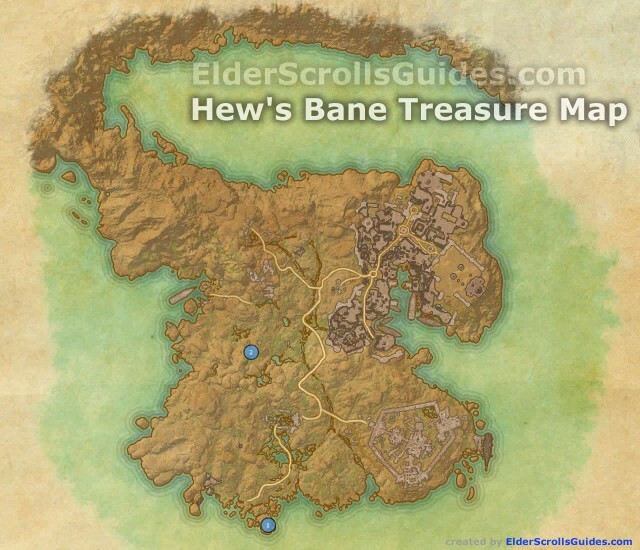 If you have more detailed info about Hew’s Bane treasure maps please help us in the comments below. Thank you! Thanks for these maps! They are a huge time saver! Glad you found the map helpful! Thanks for the coordinates, added it to the post! I’ve taken a photo of the exact location of treasure map II. Is it possible to add it to this site or to apply it to my message so that everyone can see it? 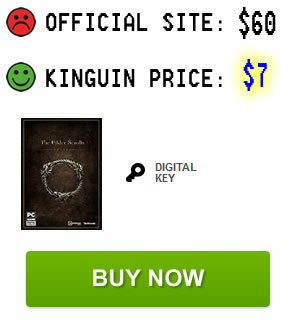 You can paste a link to Imgur or some other image-hosting site, or you can send the image to admin @ elderscrollsguides.com and I’ll be sure to include it in the post.